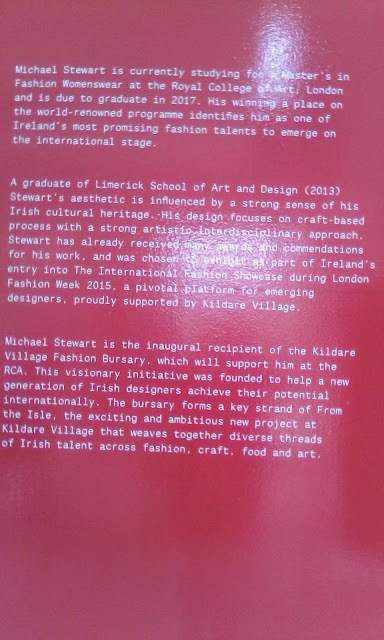 Congratulations to LSAD Fashion graduate Michael Stewart on becoming the first recipient of the Kildare Village Fashion Bursary. The bursary which is worth �15,000, will be used to support Michael during his time at the Royal College of Art in London, where he is currently studying for a Masters in Womenswear. A selection of his work is currently on display at Kildare Village.